Giorgio Fidenato brought his request to the court in an attempt to overturn the ban on planting MON810. Opposing Fidenato’s request was a task force comprised of 39 leading associations in agriculture and the environment, such as Coldiretti, Greenpeace, Legambiente, and Slow Food. The decision upholds an inter-ministerial decree which is used as an emergency measure to protect the environment when needed. 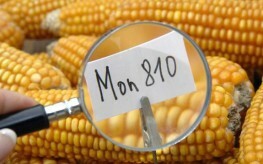 The court has essentially told the farmers of Italy that it will not threaten all of agriculture for a few GMO crops. Quotes may be slightly altered due to lack of proper translation. Following this ruling it will be easier for states in the EU to determine individually if they want to allow GM crop sewing or to ban it from their overall food production paradigm. The citizens of Italy already heavily oppose GMO crops, and France similarly is taking a stand against the biotech bullies. At least seventy-six percent of Italians oppose GMO food for its possible detriment to the environmental, and because of the numerous studies which have proven GMOs are also a serious health threat. Italians understand that genetically modified crops can also cause the ‘made in Italy’ dictum to loose credibility and harm the distinctive flavors that have been cultivated there for centuries. In other worlds – don’t mess with Italian’s food! 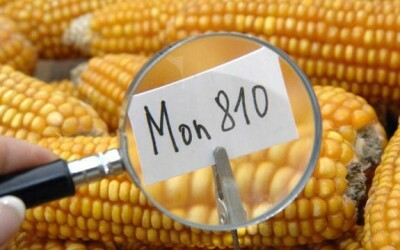 ‘Just the Lazio Regional Administrative Court rejected the appeal, which is frankly preposterous, by Fidenato against the inter-ministerial decree banning the planting of genetically modified maize MON810 in Italy. With the pronouncement today you write a page for the protection of our agriculture and the ‘Made in Italy’ quality. Beyond the environmental and health reasons, in fact, the choice is completely wrong for GMO Italy. ‘The decision of the Regional Administrative Court of Lazio dismissing the appeal of the pro GMO farmer is great news for Italian agriculture, which for its quality and uniqueness is famous all over the world. My candidacy with Green Italian European Greens in the European elections sees me involved with the decision to continue this battle against the growing power of multinational GMO and pitfalls of broad agreements in Strasbourg. Global March Against Monsanto – Saturday, May 24, 2014.
and join millions marching to save the pollinators and take back our food! !